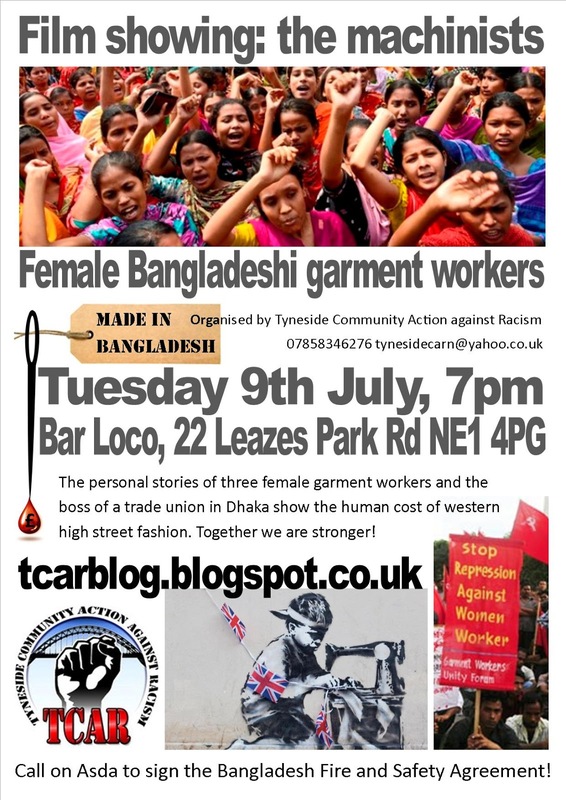 The personal stories of three female garment workers and the boss of a trade union in Dhaka show the human cost of western high street fashion. This is such an important film in the wake of the recent Rana Plaza factory collapse on 24th April in Bangladesh that killed 1,127 garment workers. This is not an isolated incident but follows many other building collapses and fires in Bangladesh and underdeveloped countries around the world. It represents an inevitable symptom of the imperialist system, where the rich in a handful of countries, including Britain, live off the exploitation of the rest of the world. The workers are still fighting to get companies who use the factories to sign the ‘Bangladesh Fire and Safety Agreement’ which would mean safer conditions and for the government to effectively enforce this. Walmart who own Asda continue to refuse to sign the agreement. Walmart is the world’s largest retailer. Demonstrations have been taking place in the West End of Newcastle outside Asda to support the demands of the Bangladeshi workers and help build the pressure. Come to the film to learn more and discuss action we can take to support this struggle.